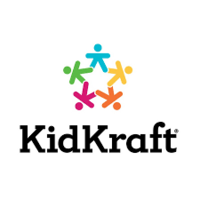 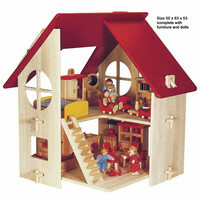 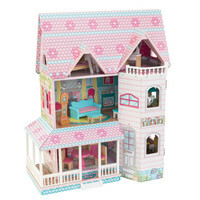 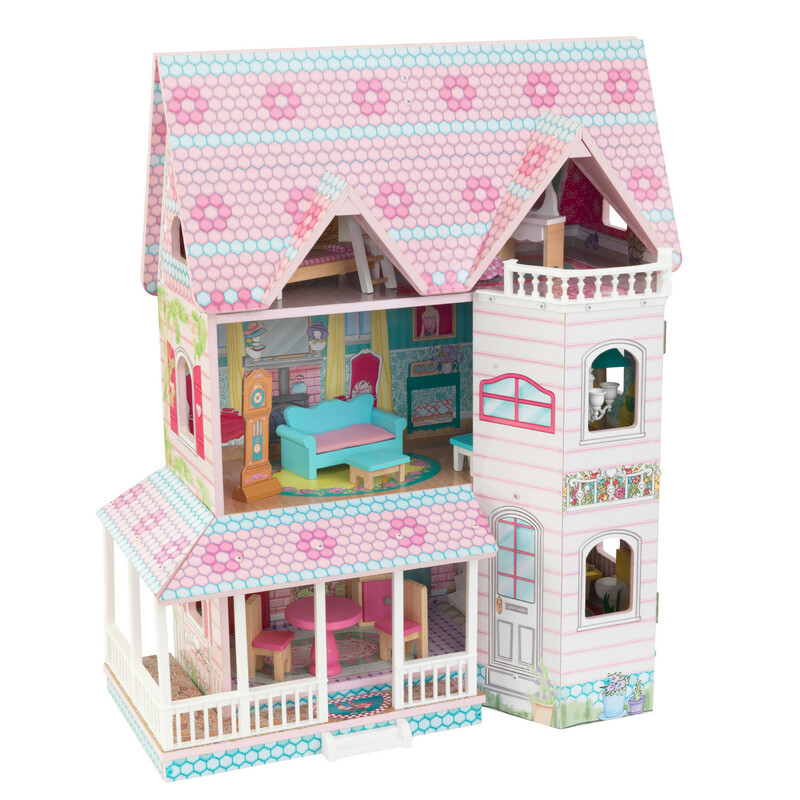 The KidKraft Abbey Manor is a new way to play. 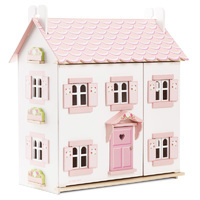 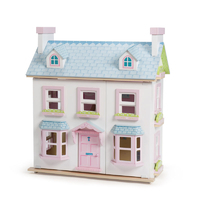 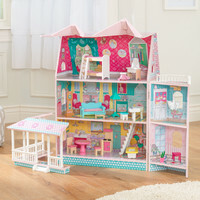 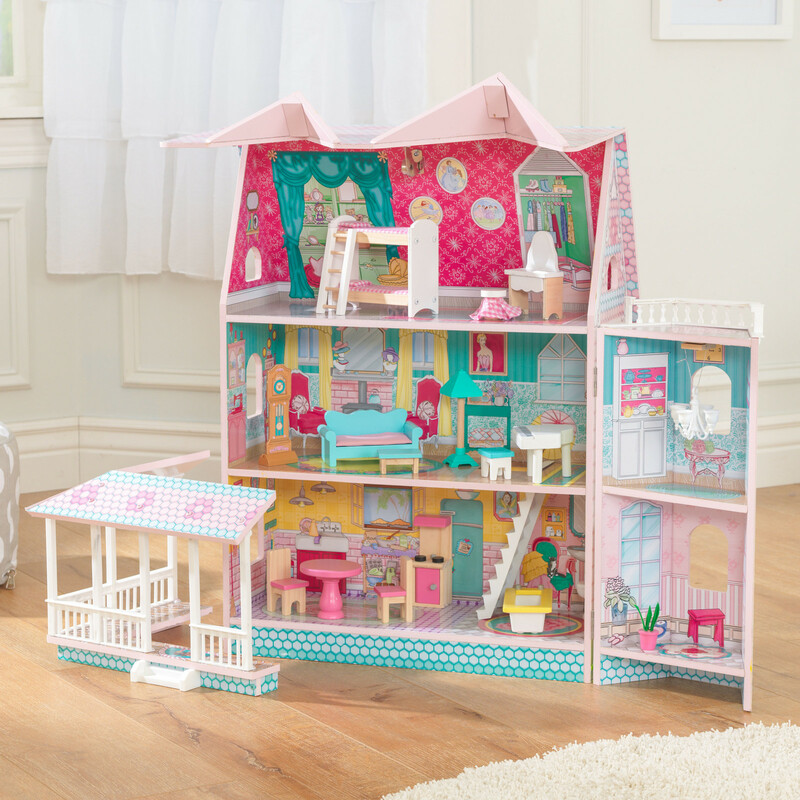 This clever Victorian dollhouse uses a double-hinged design to open up for imaginative fun, or fold away for convenience. 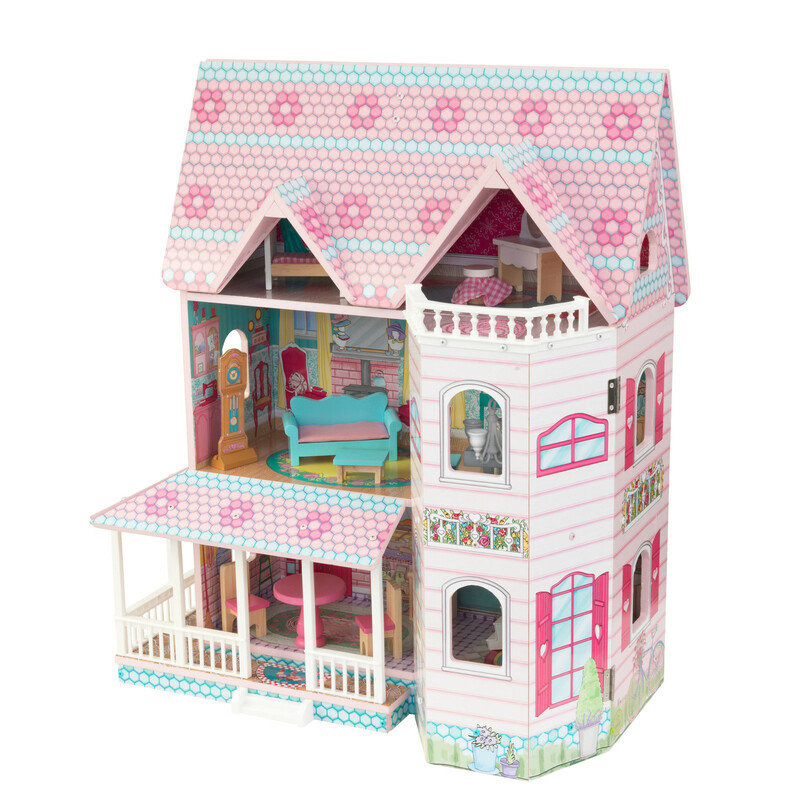 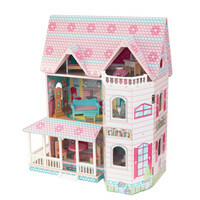 The gorgeously-detailed roof and wing open up to reveal three levels and five charmingly-illustrated rooms. 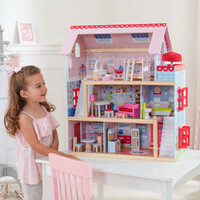 The detailed wrap-around porch can be removed to create new floorplans. 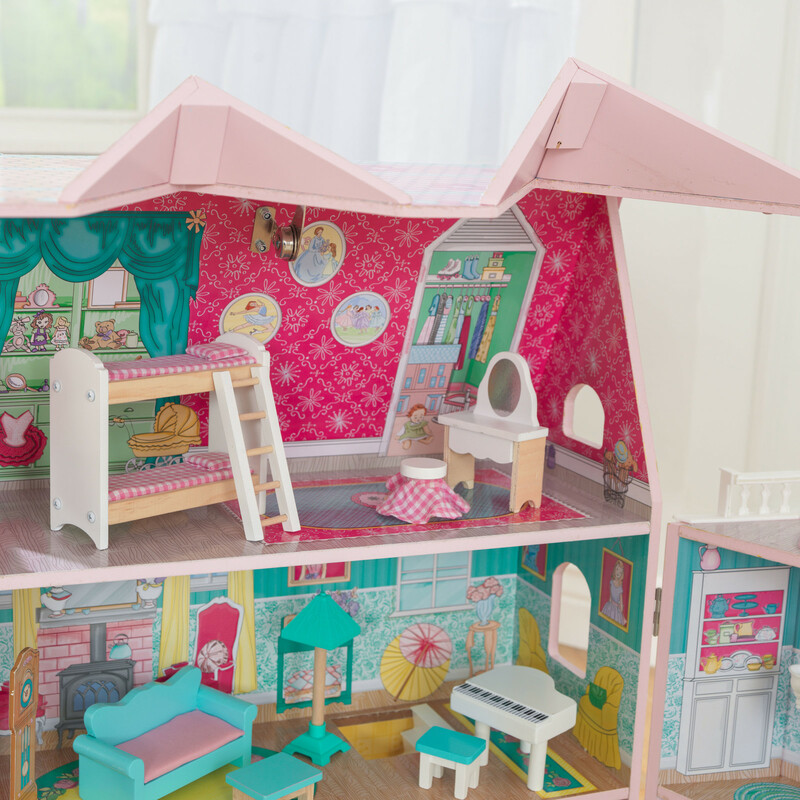 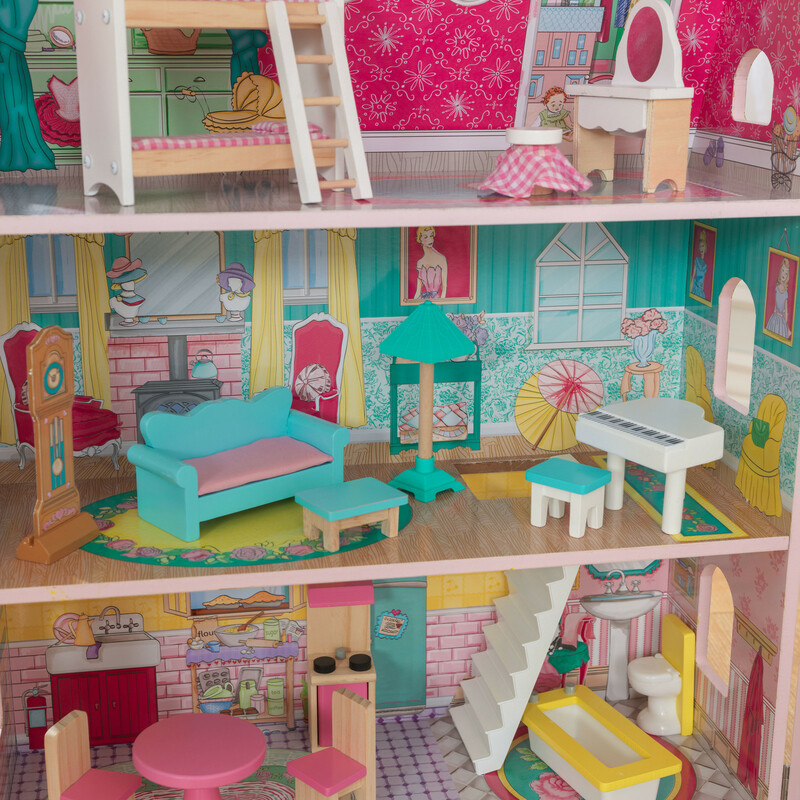 The third-level balcony offers a perfect imaginative view for dolls to enjoy. 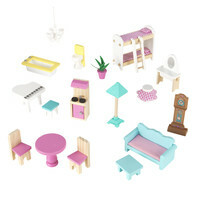 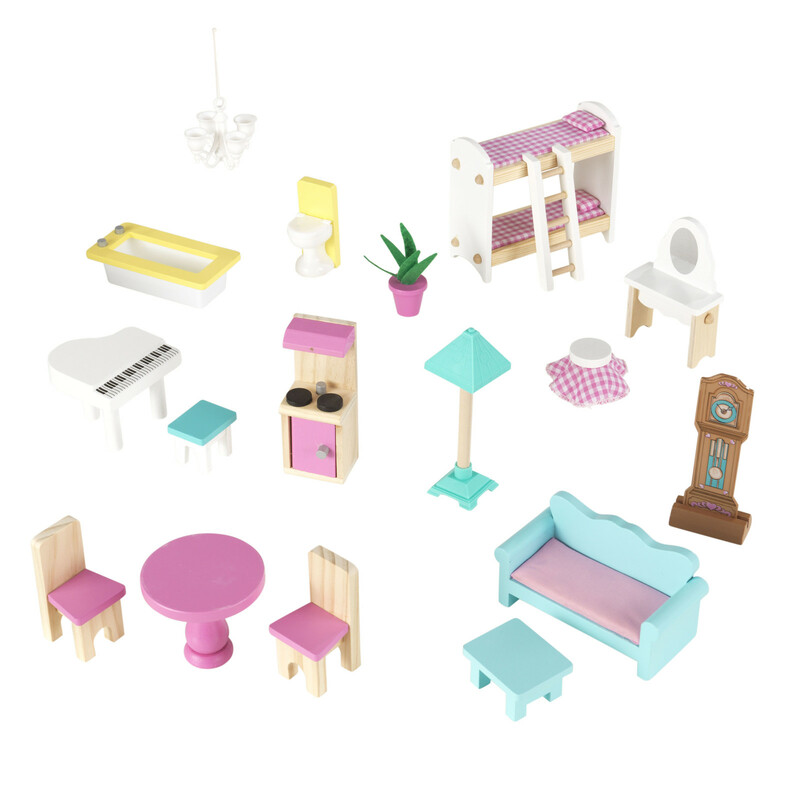 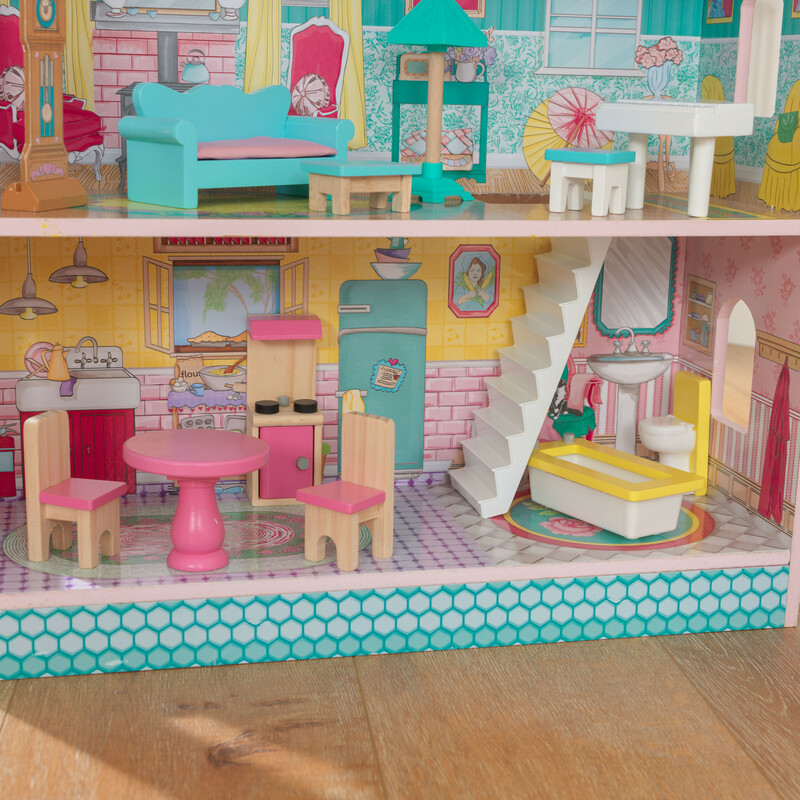 With 16 detailed accessories, kids can create the perfect getaway for dolls up to 12cm.